Join the 2000+ snowbird migration to some of the warmest average temperatures in Canada. With an abundance of winter activities, events and sunshine, Osoyoos welcomes you for a short or long-term winter stay. When you migrate to Osoyoos for the winter you get to enjoy the South Okanagan’s mild climate with the added bonus of Canadian health care, no passport required and your dollars remain at par. Affectionately known as snowbirds, hundreds of Canadians from all points east of Osoyoos return every year, spending October to April at the charming lakeside town of Osoyoos in the southern Interior of BC. quick and easy cross border travel for shopping, dining and activities. Positioned at the junction of Highways 97 and 3, the location also allows for easy travel to Vancouver, the Okanagan Valley, the Kootenays and the United States. Although many snowbirds drive to Osoyoos, the two nearby airports in Penticton and Kelowna offer an alternative for those who would prefer to fly. Getting to Osoyoos from either airport is made easy with a regular shuttle service from Penticton and Kelowna – the same service you can hop on for a day of shopping in the city. Click here to view all Osoyoos Snowbird Accommodations. Many Osoyoos Hotels offer special short and long term winter rates for our Snowbirds. For more information and current available rates, contact the hotels directly, contact Destination Osoyoos, or download a digital copy of the current Winter Accommodations including RV Parks, Hotels, Motels, and Resorts! Osoyoos is jam-packed full of activities, events and places that keep snowbirds coming back, year after year. 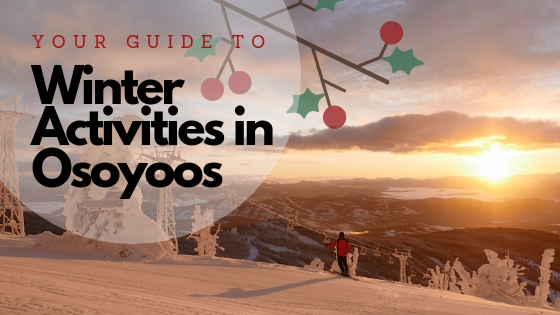 Read our latest blog: Your Guide to Winter Activities in Osoyoos. Boasting one of the longest golf seasons in Canada, Osoyoos is a golf-lover’s paradise while cross country skiers and snowshoers, hikers and birdwatchers can head to the many trails located within a 20 minute drive. Snowbirds can also move indoors for fitness with pickleball, bowling, carpet bowling, squash and curling or join a variety of arts groups and classes which offer pottery, quilting, wood carving, photography and more. View our calendar here for current events. Or, join the Official Osoyoos Snowbird Group on Facebook! Click here to view the 2018 Winter Leisure Guide and drop-in schedule for the Sonora Community Centre.